I've been developing Witch Thief and would like to introduce it to you all! I'm excited such an active community of Shmup lovers exists! 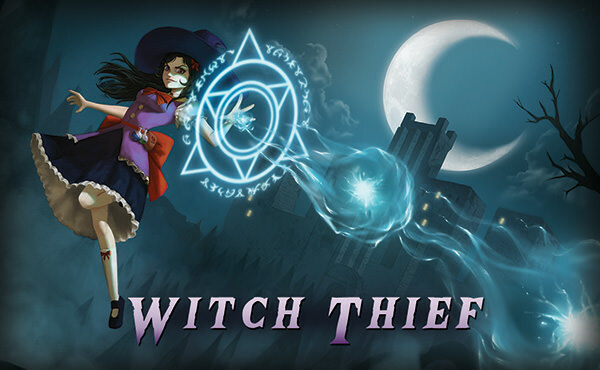 Witch Thief is now OUT! Come check it out on Steam! 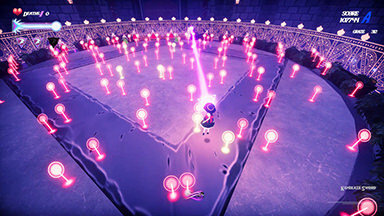 Witch Thief is a 3D bullet-hell, set in a quirky fantasy realm. 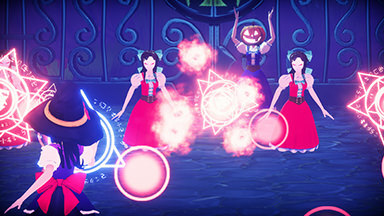 Play as the snarky Witch on a quest to steal the greatest magical Grimoire from the Last Immortal. 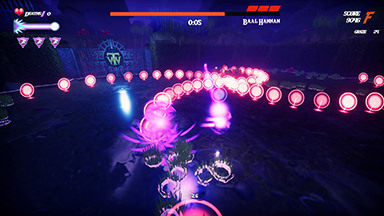 Dodge and weave through endless waves of deadly projectiles, overcome a cast of quirky mages, unlock new heroes and discover the true power of the Grimoire. 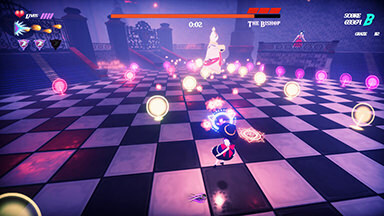 You'll certainly see the inspirations of other Shmups in my design, but I believe Witch Thief brings a unique spin to the genre and from showing at conventions in Australia, think it has a much easier entry point for new comers to the genre! 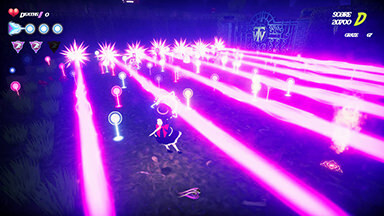 Unlike other Shmups, Witch Thief gives you control of a full 3D camera. Rather than the classic birds eye view, you will witness bullet hell from a whole new perspective! Terrifyingly intricate storms of bullets will rain down as you journey on your quest. Study, learn and apply your dodging skills to outmaneuver the incoming perils.Touching even one bullet will kill you - so beware! Choose to play one of many Witches. 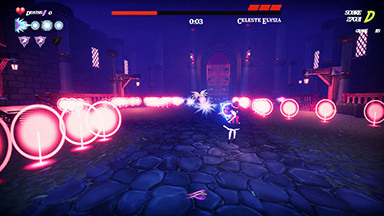 Experience fresh new dialogue, different bosses and unique spells to achieve their goals.Each character has unique spells and dialogue, and may encounter different and challenging bosses on their path to the Grimoire. A fully original soundtrack, accompanying you on your perilous journey to the Grimoire. 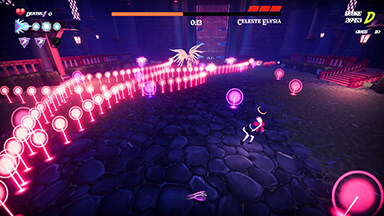 Each character and stage has a unique theme that captures and plays upon their essence. Your path is not an easy one. Face insane bosses, wielding great magical power and unleashing torrents of complex bullet patterns. They will stop at nothing to protect the Grimoire. 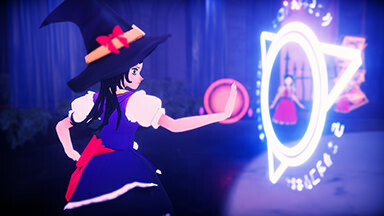 As you explore and overcome every stage of the game learning more about the world first from the perspective of the Witch Thief, but later as many other unlockable characters you will experience new perspectives of the story. Not everyone wants the hardest difficulty. Witch Thief ranges from practically no combat “Chill” mode to the extreme “Insanity” mode which increases both bullet counts and speed. Oh you only get one life there too. If you encounter something in Witch Thief that you feel should be in this Disclaimer, please reach out! If you are interested in finding out more you can come visit my website for Witch Thief! Or if you want to check it out on Steam you can wishlist it now! It'll be releasing soon! If you want to stay in closer touch, you can come join our community discord and come say hi! Last edited by Agilethief on Fri Sep 21, 2018 12:24 am, edited 1 time in total. 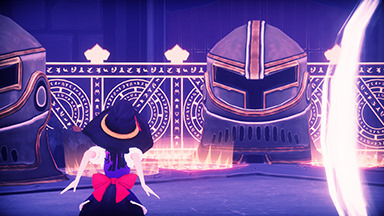 I'm excited to announce that Witch Thief is now RELEASED on steam! I will be updating the first post to reflect this too! Wow! I really like how this looks! Gonna have to check it out for sure. I'm especially happy to see a game that is taking the genre out of it's traditional 2D, side-scrolling element and trying something new and interesting. Awesome! I hope you enjoy your time with it if you get to play!